India’s leading automotive brand, Mahindra & Mahindra’s award winning vehicles are now also available in Fiji from Mahindra CarCity showroom in Nakasi, Suva. 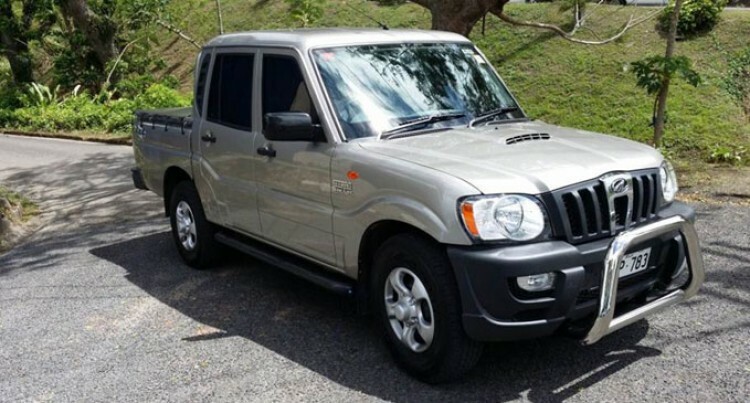 Amongst the range is the tough and roughed Mahindra Scorpio double and single cab utility vehicles. The Scorpio utes offer a strong value proposition that makes it a preferred vehicle in market with its incorporating quality and technology of an international standard. Since its launch, the Mahindra Scorpio has not only emerged as the leader in the UV (Utility Vehicle) segment in India but has also won widespread industry acclaim and also winner for several prestigious awards from the automotive media, including the CNBC. Scorpio’s great off-roading capabilities and ability to move through roughest terrains makes it a frontrunner among all-terrain cars in India. Fitted with new foam contours, the seats in the new Mahindra Scorpio twin cab has been designed after meticulous ‘Body Pressure Mapping’. In fact, they’re so ergonomically adapted to the human form, they hug. Pushing the luxury of being seated in the Mahindra Pickup to dreamy new heights. While keeping you planted and comfortable through every manoeuvre you may think up. Luxurious trims dominate the interiors, boasting the style quotient of the Mahindra Scorpio twin cab. But what really sets Mahindra Scorpio to handle the tough and roughed conditions, are the brawny new body contours, bold slotted front grille and sporty body graphics. The Mahindra Scorpio twin cab comes with the new sporty alloy wheels that add strength and durability. The magic of common rail diesel engine technology enables you to enjoy the power packed ride with the Mahindra Scorpio twin cab’s new 2.2 litre, 4-cylinder mHawk diesel engine. Its raw power and smooth acceleration make every drive a thrill to remember. The new mHawk engine propels the Scorpio from 0 to 60 in 5.7 seconds flat and touches 150kmph few seconds later. Acceleration is effortless. The innovative 2 chain drive system and hydraulic lash adjuster cuts down the noise drastically too. The high power mHawk engine is more fuel efficient, low on NVH and environment-friendly and a hallmark of Mahindra’s cutting-edge technology. Mahindra Scorpio twin cab and single cabs are now available from Mahindra CarCity showroom, located at 25 Kings Road, Nakasi, Suva. All new Mahindra vehicles are backed by a 3year/100,000km warranty in Fiji.